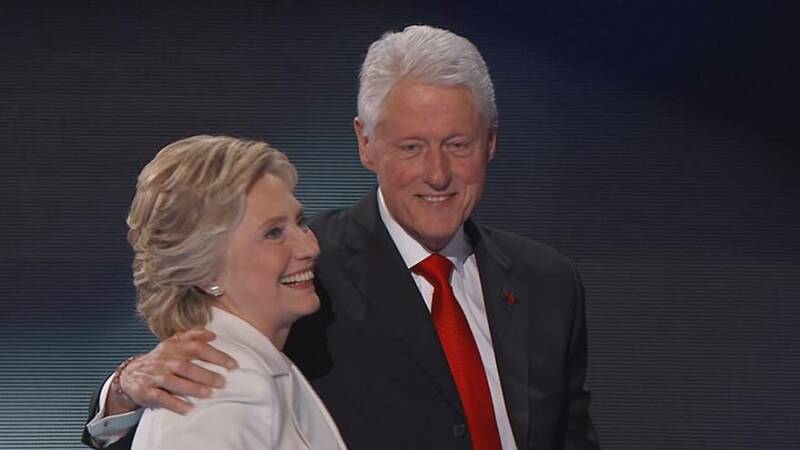 Democratic presidential nominee Hillary Clinton has had previous health episodes similar to Sunday’s near collapse, according to her husband, former President Bill Clinton. “Frequently… not frequently, that’s not a… rarely but on more than one occasion over the last many, many years the same sort of thing’s happened to her when she just got severely dehydrated. And she’s worked like a demon as you know as secretary of state and as a senator and in the years since,” Bill Clinton said in a televised interview. The US president stepped back onto the campaign trail while Hillary takes time off to rest at home and battle her bout of pneumonia. Barack Obama spoke passionately to a crowd in Philadelphia to try and ensure the White House remains under Democratic control. “And that’s what Hillary learned, as a senator and as a secretary of state, and as a first lady,” said Obama. “And the time has come for me to pass the baton on, but I know that Hillary is going to take it and she is going to run that race, and she will finish that race, and she will finish that race. And that is why I’m with her. That’s why I’m fired up. That’s why I’m ready to go. And I need you to join me!,” Obama added. Clinton is expected to return to the campaign trail later this week.